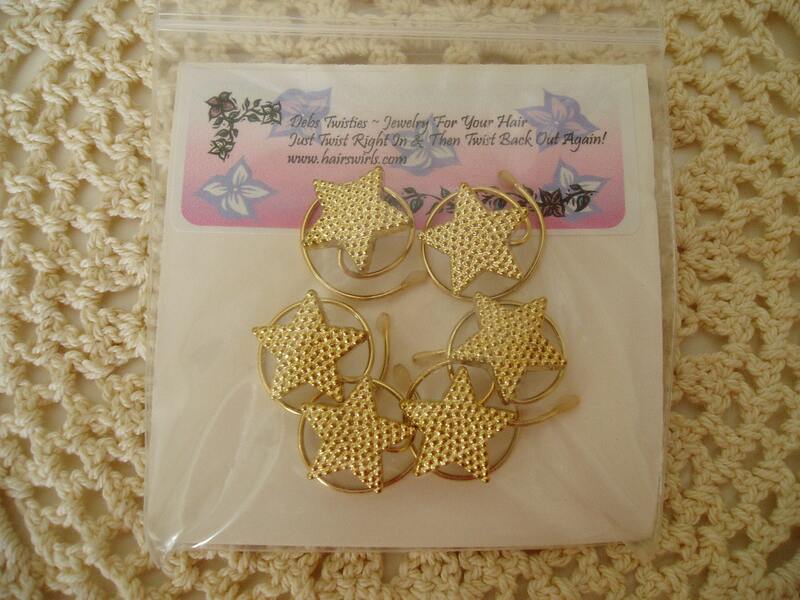 This listing is for 6 pieces of hair jewelry consisting of adorable tiny (5/8 inch) gold tone star hair swirls. 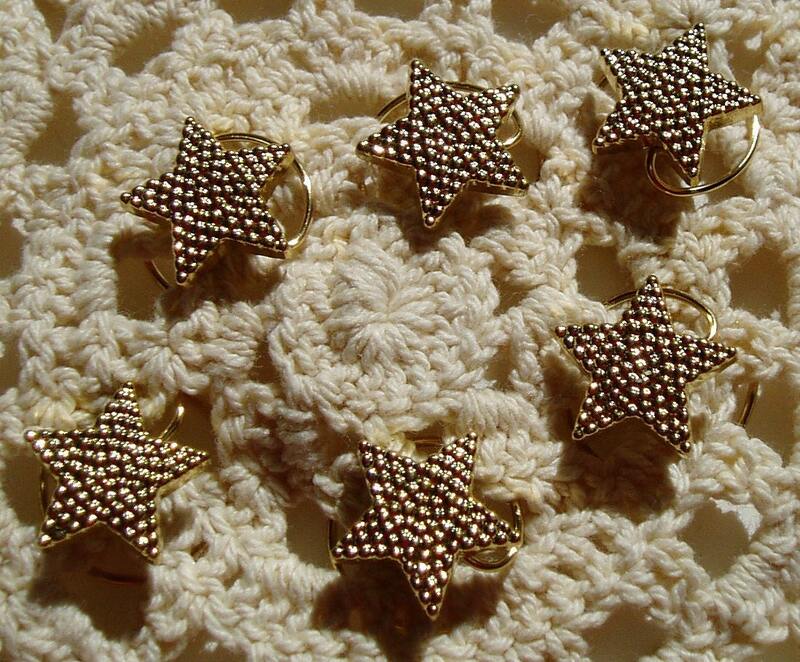 These little stars have a knobby shiny sparkling finish. 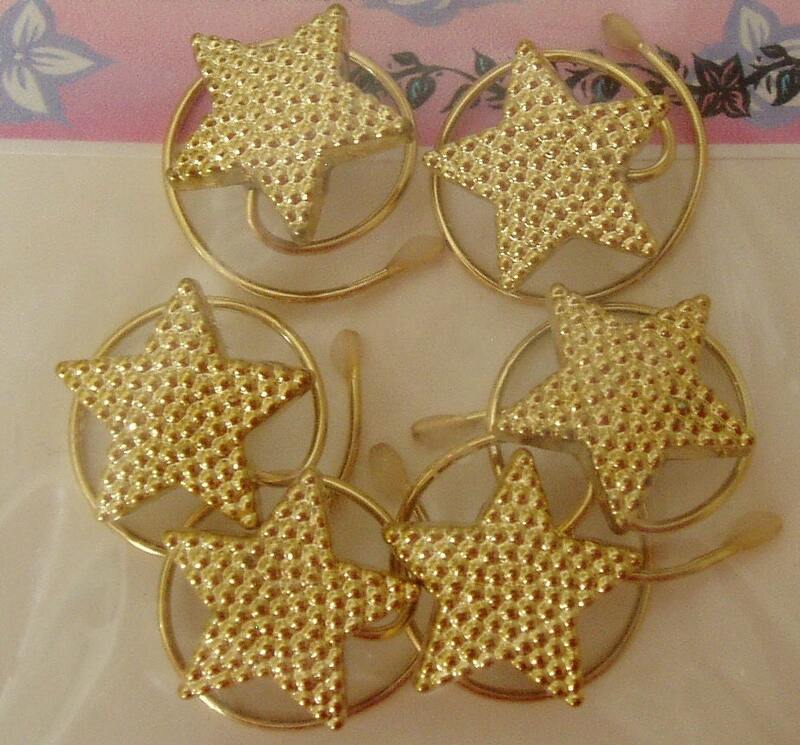 They will look dazzling in your hair. 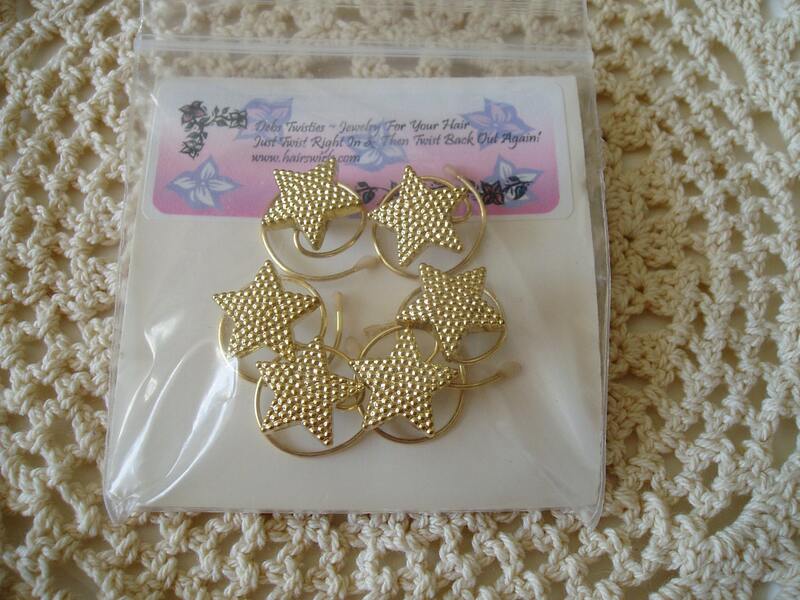 I guarantee it or your money back. 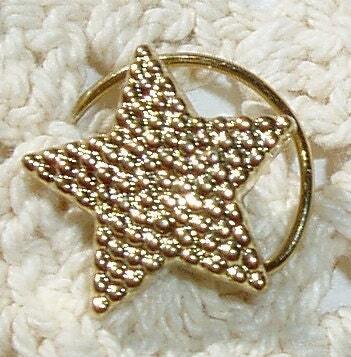 If you would like more than one set of star hair swirls just ask and I will list them for you.